Backyard fish farming can be a profitable business. However, you do need some special skills and knowledge about fish. Here are some tips to help get you started. 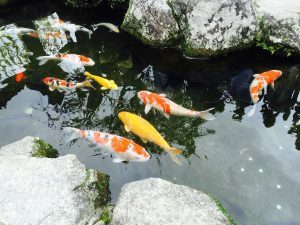 If you are enthusiastic about raising fish in your backyard pond, you should try to gain as much knowledge as possible to guide your efforts. You know what they saw, failing to plan is planning to fail. Fish can be a great source of healthy, nutritious food and it doesn’t take many resources to start a profitable small scale backyard fish farm. Even if you don’t have a backyard fish pond, you can still start a home based fish farm. You can also raise fish indoors, with fish tanks, tubs or any kind of large container. 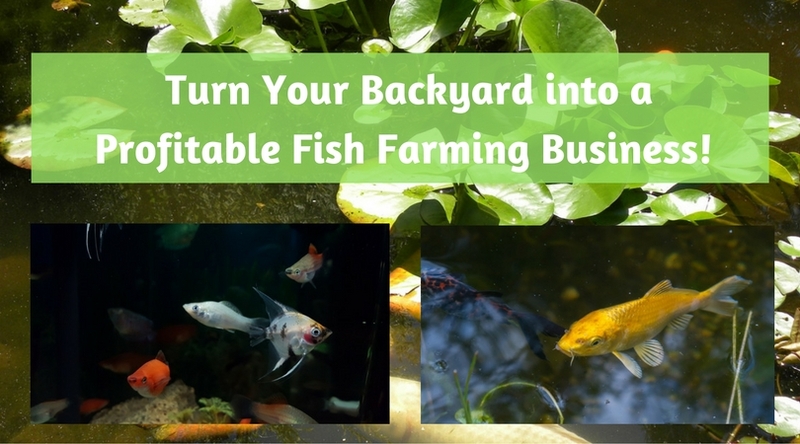 Here are some of the methods you can use to turn your backyard into a profitable fish farming business. Before you decide to start a backyard fish farming business, you must analyze your potential market, and make the appropriate plans for your business. It’s important that you understand what your goals are from the very beginning. If you plan to sell your fish for a profit, you must understand your local market and their demand for fish. This includes what types of fish, what the prices are currently, what suppliers are in the area already: you get the point. If you are thinking about mass production you also need to think about processing, packaging and storing of your fish. Do a cost and income analysis to determine your profits. Now we’ll talk about some costs that you need to consider before starting. Just like any other business, there are two types of costs associated with a fish farming business. There is a initial startup capital cost and there are continuous operation costs. If you operate from home, you don’t really need a whole lot of capital, which makes starting your business slightly easier when compared to commercial fish farming. For commercial fish farming you need to acquire land, buy the appropriate equipment and then you also may need some permit or license, all which require money. How much money will you have at your startup? For most of us, it’s not that much. 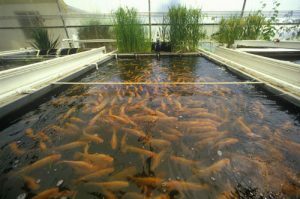 To start a fish farm from home, you’d have to calculate all the costs associated with digging a pond, getting juvenile fish, buying feeding and maintenance costs. If you plan to start an indoor fish farm, you’ll need to get some containers of your choice. You may also need some plumbing, a water pump and aerostation devices based on the size of your pond or container. Other costs to think about are transportation, distribution and storage costs. A more cost effective way to start your fish farm is to start an aquaponic system where you can grow plants and raise fish at the same time, so you can double your production with almost the same cost! Carefully consider all costs before you get started. Prepare a report that outlines all your inputs and expenditures in details. It will depend on the scale, the type of fish and the desired output of your business. Below are several types of fish farming that you might consider getting into. It would depend on your area, your climate and the market which one is best suited for you. If you are raising fish for your own consumption, start with a fish that you personally like to eat! Your success in fish farming or any business depends on how much knowledge and experience you have in any given field. If you are not expert in this area, we recommend that you learn about fish farming as much as possible. You don’t have to be an expert to be profitable, you just need the right resources. Enroll in a course or buy learning materials if possible. You can also try to work for other fish farmers before you start your own business so that you gain hands on experience. 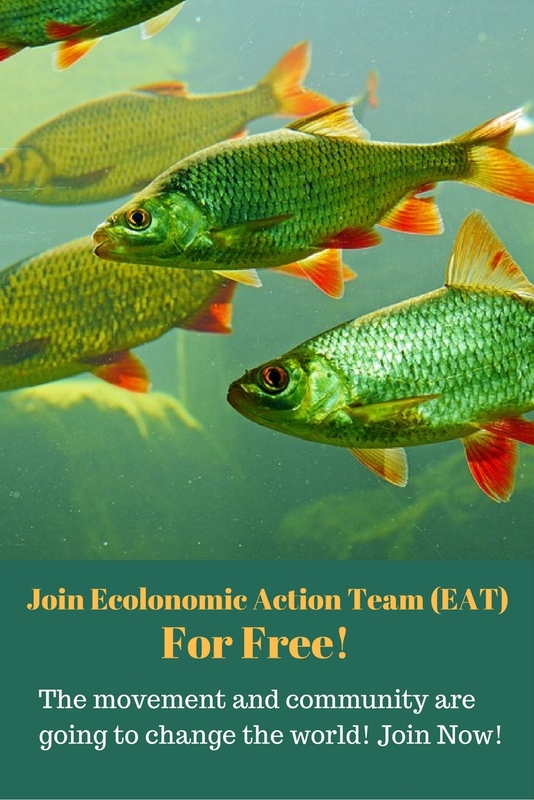 P.S: – If you’d like to learn more, Click here to become an Ecolonomic Action Team (EAT) member and join our free live webinars. Also, become a member of our Ecolonomics in Action website for tons of free stuff and resources shared. To get in touch with us please give us a call at: (303) 495-3705, or email us at: ioe@ecolomics.org. I’m a catfish farmer and I’ve experienced both the good and bad sides of fish farming business. It’s necessary to conduct a good feasibility study before going ahead with any aquaculture-related business.